At METAV 2016 DATRON positioned itself successfully not only as a mechanical engineering company, but also as an innovative tool manufacturer. 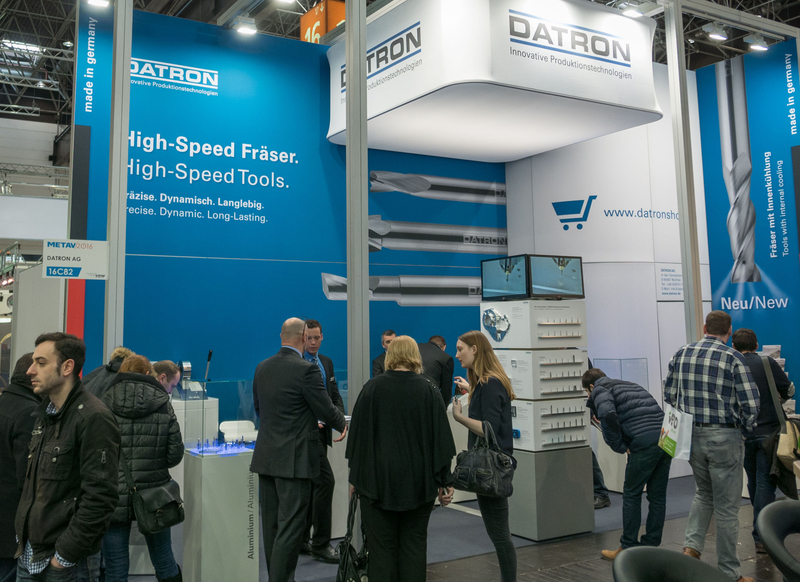 At a booth specifically dedicated to high-speed tools, DATRON presented six product segments, including innovations such as the double flute end mill with internal ethanol-cooling. At the international exhibition of technologies and metalworking from 23 to 27 February the lead products of DATRON - M8Cube and MLCube LS – were live demonstrated producing different workpieces. Simultaneously, the engineering company used the exhibition to highlight its long-standing expertise in the tool sector. High-Speed Tool Booth Well AttendedThe additional booth specifically dedicated to high-speed tools gained great interest by trade visitors. For several decades, DATRON has been exhibiting its HSC milling machines at METAV and has also proven comprehensive expertise in compatible DATRON HSC mills. Now the engineering company brings its tool business into greater focus, especially with regard to the use with machines from other manufacturers. At METAV, the tool experts from DATRON presented six product groups and advised visitors about all issues related to the enhancement of economic and productive production processes based on DATRON milling tools. 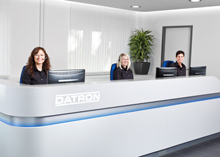 For years the company has been investing in its own DATRON technology center where DATRON tools undergo extensive testing under extreme conditions to continuously improve the offered tools portfolio. Outside of DATRON milling machines, a compatibility with machines from most other manufacturers is also given. 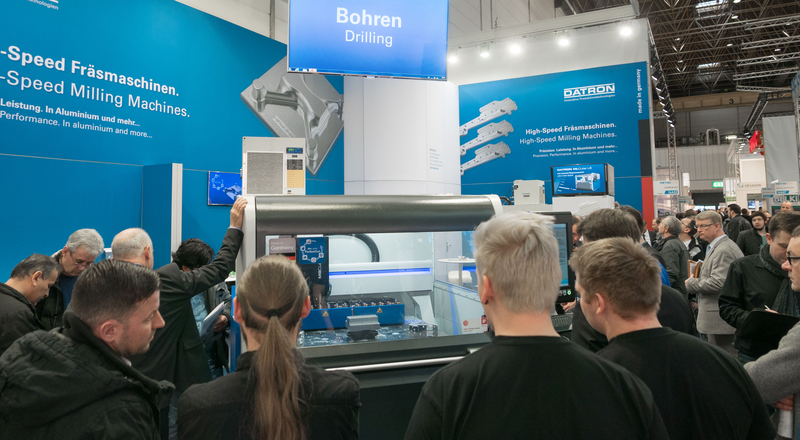 Visitors of the DATRON tool booth benefited from individual and intensive consultation related to demanding milling applications. 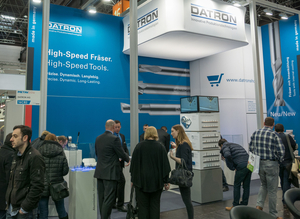 DATRON CEO Dr. Arne Brüsch was extremely satisfied with the initial separate promotion of DATRON’s tool business: "The great response to our tool booth during METAV has once more demonstrated the potential of DATRON as a tool manufacturer. Over the year, we will further apply our expertise to boost the productive potential of our customers with individual activities. " The focused positioning of DATRON milling tools also includes the further development of tool technology for a smooth and profit-maximizing production workflow. At METAV the mechanical engineering specialist presented its new double flute end millwith internal cooling, which meets highest demands regarding precision in combination with the 8kW- (HSK-E 32) power-spindle and the DATRON M10 Pro milling machine. DATRON’s tool with internal cooling is also compatible with machines from other manufacturers. Through an internal coolant supply the end mill is cooled while chips are safely and efficiently removed due to a special tool geometry - even at speeds up to 40,000 rpm. The internal cooling also positively affects the service life, the changeover times, and thus lowers the acquisition and operating costs of the tools. Costs efficient are also the DATRON specially-balanced single flute end mill in ultra-fine grain quality. Their great chip flute leads away chips efficiently and enables users to go with high feed rates into the material. 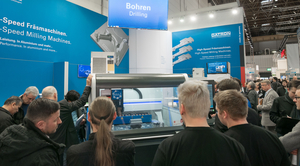 At the main booth DATRON experts demonstrated the production of industrial components "around the clock" by use of the DATRON CNC machines M8Cube and MLCube LS. The M8Cube produced complex electronics housings using a 3 kW high-frequency spindle, and the MLCube LS with its large working area machined workpieces from the aerospace sector. The M8Cube stands for a dynamic cutting cycle resulting in mirror-smooth surfaces and finest engraving and drilling details. In the manufacturing industry, the M8Cube among other things masters precision machining of 3D aluminum molds, graphite electrodes or test adapters with up to 60,000 rpm. The DATRON MLCube LS, also with a particularly large production area in relation to its relatively small footprint, provides special advantages especially for batch production applications. Front panels and housings are easily manufactured with the machine’s economic and power saving features: The brand new linear scales measuring system compensates temperature fluctuations optimally and adds greater precision to the X- and Y-axes.